Ukrainian Prime Minister Volodymyr Groysman has said that local residents should have a say over the location for a planned new airport to serve the Dnipropetrovsk region. Commenting while in Dnipro this week, the Ukrainian PM said public opinion should play a role in the process alongside professional assessments because residents would ultimately be the future passengers of the airport. “The priority for me is that Dnipropetrovsk residents and visitors have access to modern air travel facilities. There is clearly a readiness to begin work on a new airport, but we need to determine the location. 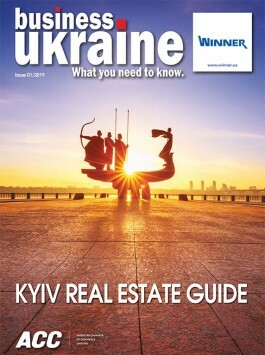 We must also seek professional guidance on this issue, in order to take convenience and logistics factors into account.” Earlier, Dnipro residents registered an online petition at the website of Ukrainian President Petro Poroshenko calling on the state to provide financing for the construction of a new runway at the current Dnipro International Airport site. The petition has already attracted more than 25,000 signatures. The original plans for a new Dnipropetrovsk region airport focused on a comprehensive upgrade of the existing Dnipro International Airport complex. DCH Group owner and president Oleksandr Yaroslavsky, who financed and oversaw the reconstruction of Kharkiv International Airport, has repeatedly underlined his readiness to invest USD 70 million into the construction of a new terminal complex for Dnipro International Airport. However, this investment is dependent of the state also committing the necessary funding for reconstruction of the airport’s runway facilities. As talks have progressed over plans to upgrade the existing airport, a rival proposal has emerged to build a completely new airport close to the village of Solone midway between Dnipro and Zaporizhia. This plan has proven controversial and come in for considerable criticism. “The construction of a new airport at Solone on virgin land will take up to five years to complete and will require investments of around EUR 400 million because it will be necessary to construct extensive infrastructure in addition to the airport itself. Meanwhile, the reconstruction of the existing airport will take two to three years with an estimated cost of slightly more than EUR 200 million,” commented Yuri Rubanov, representative of international air travel infrastructure specialists Airport Consulting Vienna.